Tell someone how much you love them with this unique two pendant necklace. 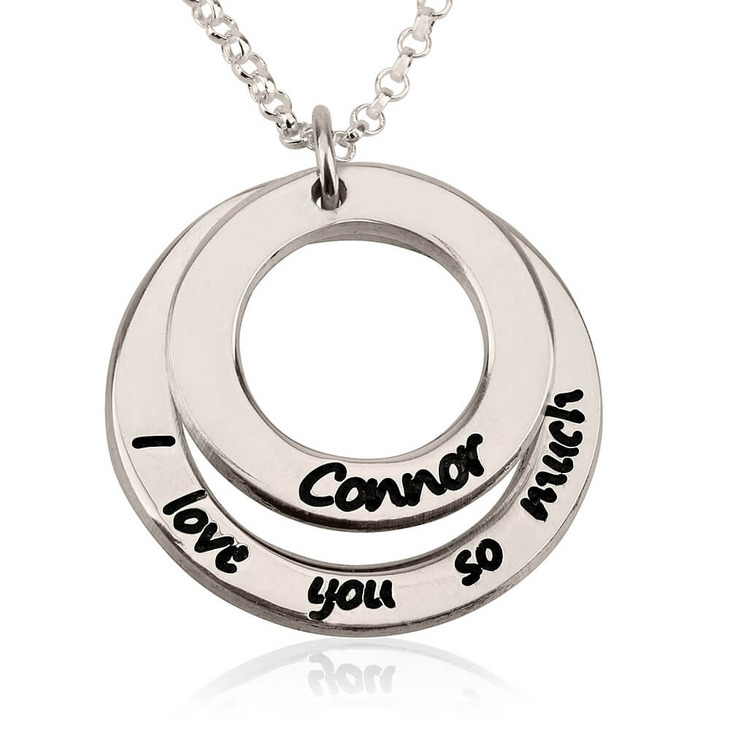 Engraved on the outer sterling silver pendant are the words you mean to say everyday, ''I Love You So Much.'' The inner circle pendant is engraved with the name of your special someone. 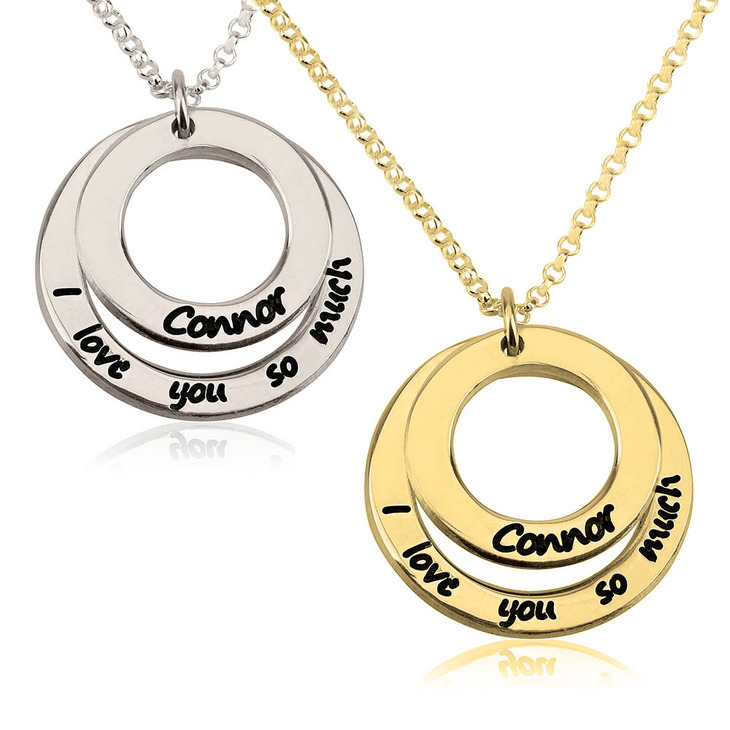 What better way to express your love than with a necklace as romantic and personalised as this?